In any motor vehicle accident, motorcycle riders will suffer the brunt of injuries. With little to no protection, motorcycle riders will be injured by both the vehicle impact and striking the road. If you were seriously injured or have lost a loved one in a motorcycle accident, do not hesitate to contact our firm for a free consultation. 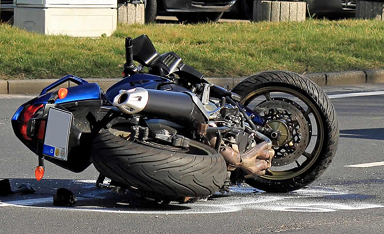 At The Wetzel Law Firm, our Mississippi motorcycle accident lawyers can guide you through the legal process. We strive to ensure our clients recover the maximum compensation possible in their situations. Depending on the severity of your accident, you might suffer catastrophic or even life-altering injuries. Our goal is to protect your future financial stability while you focus your attention on getting better. We understand that motorcycle accidents can lead to multiple doctor visits, hospital stays, surgery and lengthy physical therapy. The bills for these services, when coupled with the loss of income from being away from work, can quickly devastate a family’s finances. Look to our firm to vigorously fight for your full and fair monetary compensation. At The Wetzel Law Firm we take all of our cases on a contingency fee basis. This means it will cost you nothing to have an attorney on your case. We collect our fee when you collect from the person or people responsible for your injuries. Contact an experienced attorney at The Wetzel Law Firm today to learn more about our services. Your initial consultation is always free.